Electric combi boilers also referred to as thermo electric boilers or electric central heating systems; they are highly efficient control and modulate your homes hot water using the latest technology available today. They convert almost 100% of the energy supply into heat. Thermo is the perfect product to heat homes in Scotland as well as extensions, offices and commercial premises. Unlike gas and oil boilers there are no issues with the flue location or heat storage, providing you with full flexibility and maximum control of your hot water. Electric boilers operate in almost complete silence and don’t require annual safety checks or regular maintenance like their gas counterparts. They have a built-in overheat cut-out for when they reach a certain temperature. Using their ‘soft start’ technology which uses lower voltage and is compatible with electric radiators and underfloor heating. They follow the same rules and process and traditional gas central heating, however, they offer you more control reducing the energy use resulting in lower energy bills. Electric boilers comprise up to three immersion heating elements. These all operate in a synchronised modulation matching energy output with demand and reduce energy consumption and controls. In terms of water heating, they work best in conjunction with a hot water cylinder which we always recommend together for a complete solution. Our range provides you with lots of options in terms of style & design and the amount of power output they use. One of our models provides you with options more suitable for creating space or ‘space heating’ as this is often referred to. The weather consumption facility can save you up to 15% on your energy bills each year if compared on a like for like basis with other electric boilers & cylinders. One of the biggest benefits of electric boilers is that they don’t require a flue. Boiler flue’s can create a range of different issues and can lead to expensive installation costs or large repair and home improvement bills in the future. The fact that electric boilers don’t require a flue allows you with far more choice when deciding where you would like your electric boiler to be located in your home without having to pay large sums of money for it to be installed in certain areas. Electric boilers are small and more compact than other boiler systems, with less wires and connections creating far more space around your home. 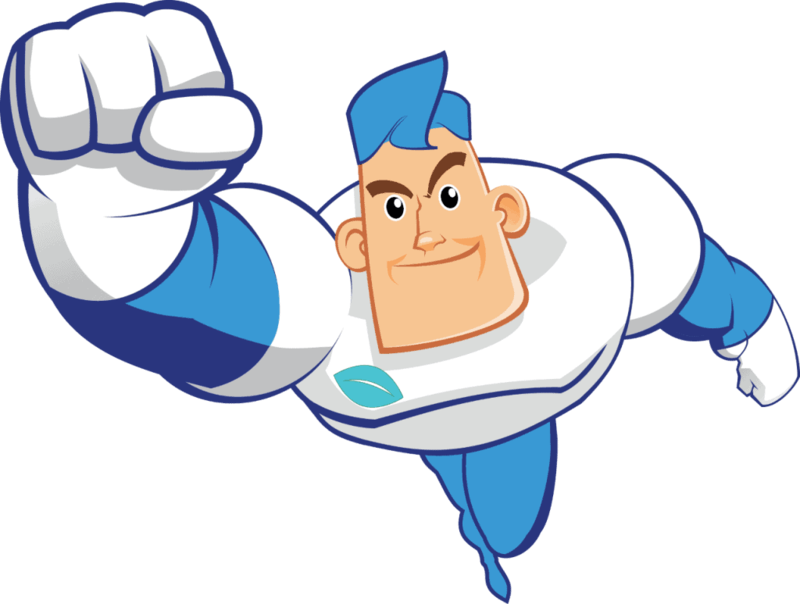 They also work in complete silence, often with gas boilers people complain about the loud or constant noise that is created from the boiler whilst it is operating. We supply and fit a more traditional electric central heating boiler which provide a more comprehensive heating solution. 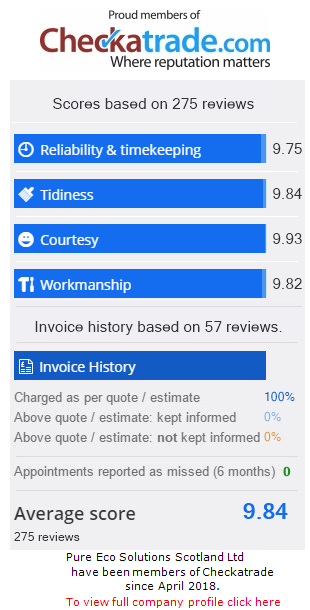 There are no ‘better’ choices from our range, it’s really down to what’s best for each individual, based on what we discuss during your free electric boiler survey. 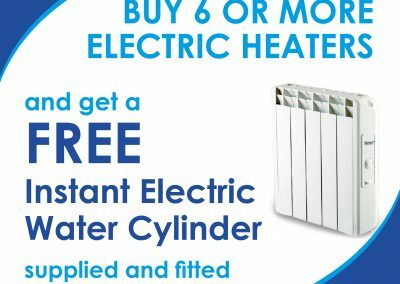 Electric instant hot water heaters are one of the most efficient ways to provide instant hot water in your Scottish household. 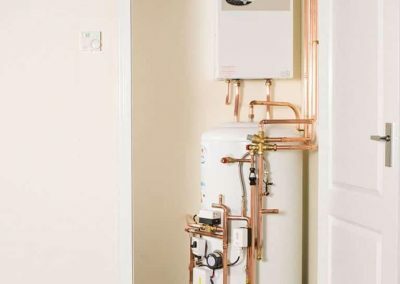 Instant hot water heaters ensure there is no wasted emissions, no hot water that’s heated and left in your tank unused and most important of all for Scottish homeowners instant hot water with no wasted money on overpriced electric energy bills. 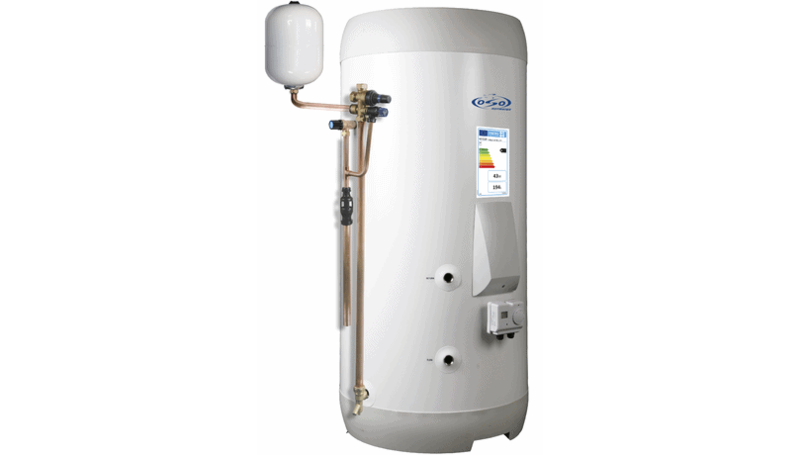 An Electric Water heaters use your homes heating mains water, which it then stores providing instant hot water for when you need it. 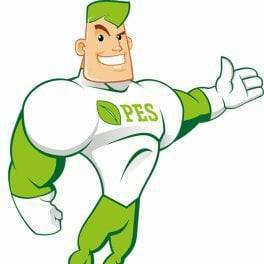 They are as quick as any gas central heating system and like their gas counterparts only use energy when you need hot water. The hot water heaters that we supply and fit come with a range of different power outputs and storage options, much like our electric heaters we only ever use high quality equipment manufcatured in the United Kingdom or Germany all of which come with a guarantee of at least 10 years. 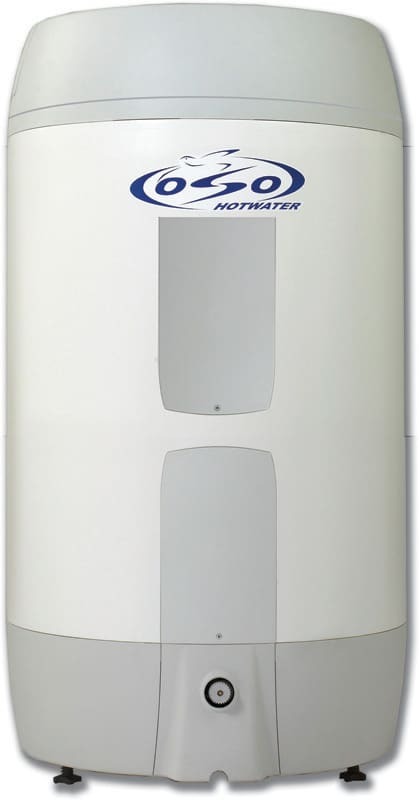 Unvented electric cylinders takes its water supply straight from your homes mains allowing you to receive hot water at a far improved pressure than a standard vented cylinder. This means you do not loose more space to an additional water tank which is required for a vented system for it’s water storage which connected by a vent pipe. 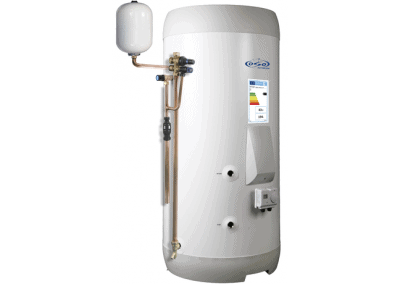 Unvented hot water cylinders provide your home with a balanced supply of hot water to all of your taps and water outlets. 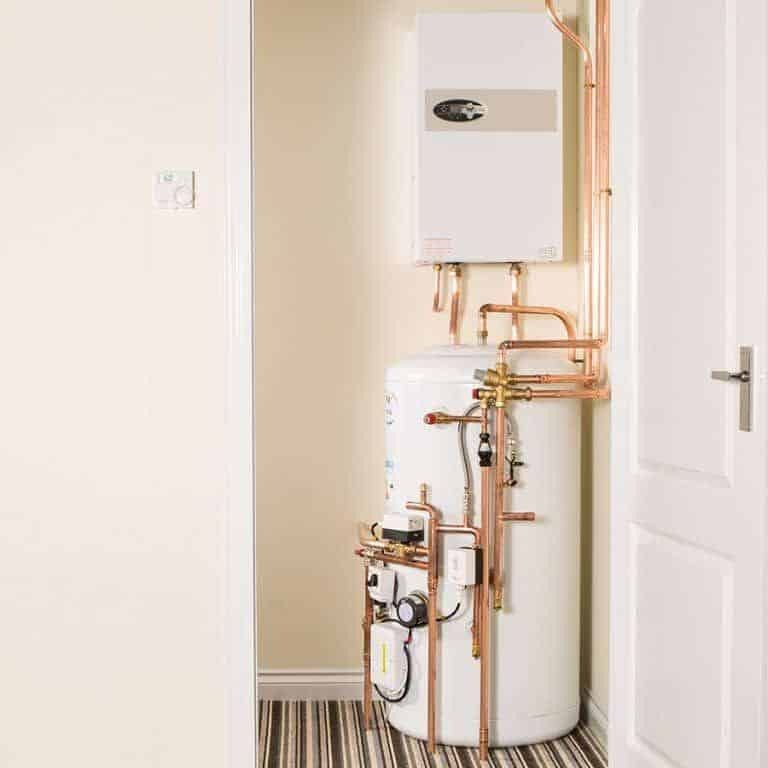 Like our electric combi boilers you have far more flexibility with your installation allowing you have the cylinder installed out of sight and creating more space around your home. Although not completely silent like electric boilers, cylinders are very quiet meaning you can still have them installed in areas such as your kitchen without causing any disruption. 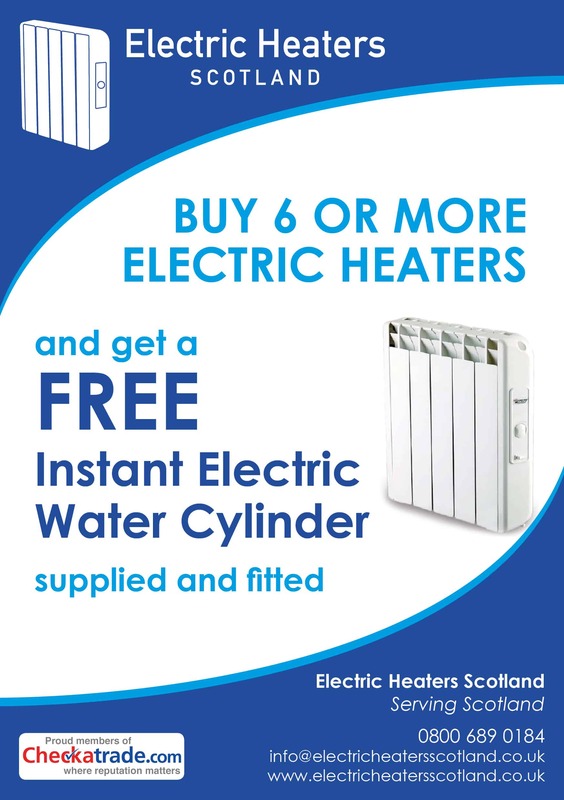 Due to that fact unvented electric cylinders work almost completely independently, the installation process is very quick providing you with a hassle free quick turnaround solutions for your hot water in your Scottish home. 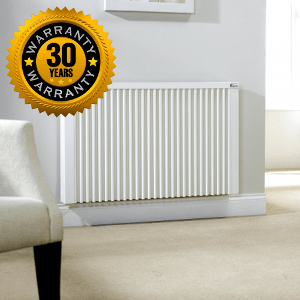 Like all of our other electric heating products our electric boilers, water heaters, electric cylinders and electric central heating systems are covered by a substantial manufacturer’s warranty offering guarantees on any faulty equipment for up to 30 years depending on the make, model and package you opt for during your heating survey. Just like our electric heaters, electric boilers, water heaters and cylinders all have wireless WiFi control options available in a number of different designs. This is another reason that people chose electric to heat their water and their homes, the WiFi control’s are really popular and 100% user-friendly which is the main reason for their popularity. 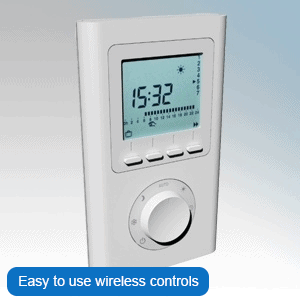 Once again like the WiFi controls for our electric heaters there are more traditional control options available for electric boilers, water heaters and cylinders.